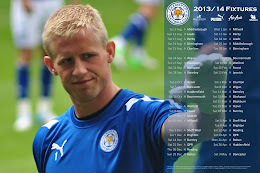 Matt Mills has agreed terms with Bolton Wanderers and is no longer a Leicester City player. Following earlier speculation that a deal for the 25-year-old was close, the two clubs agreed an undisclosed fee for the defender and Mills has now signed a three-year deal with the Lancashire outfit. Mills made 31 appearances for the Foxes after his record-breaking move from Reading a year ago. Skipper of the Royals' play-off final side, his price tag and reputation promised much but Mills failed to deliver, sloppy performances on the pitch and a reported argumentative nature off it making him anything but a favourite with the fans. With Sol Bamba also departed, Nigel Pearson now has a defensive headache and is set to up his chase for Hull City's James Chester in a bid to go some way towards shoring-up last season's leaky defence.